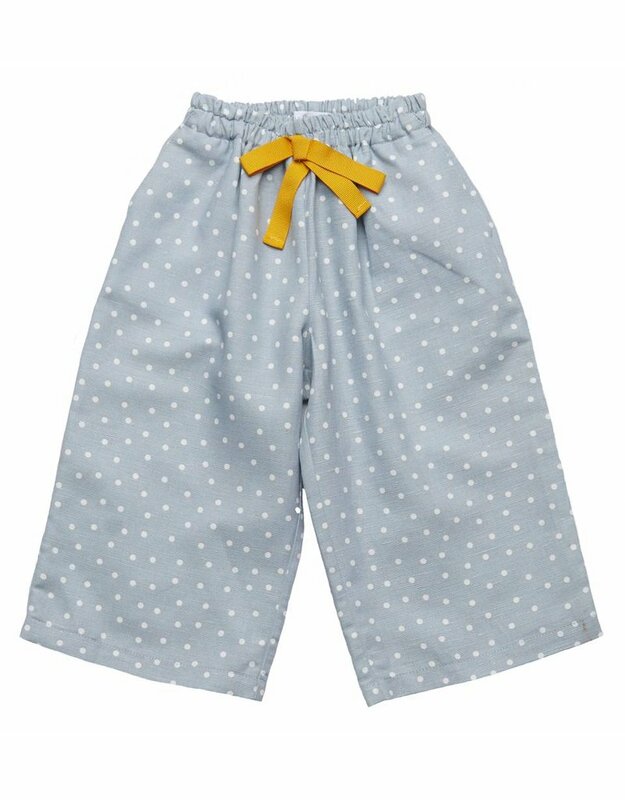 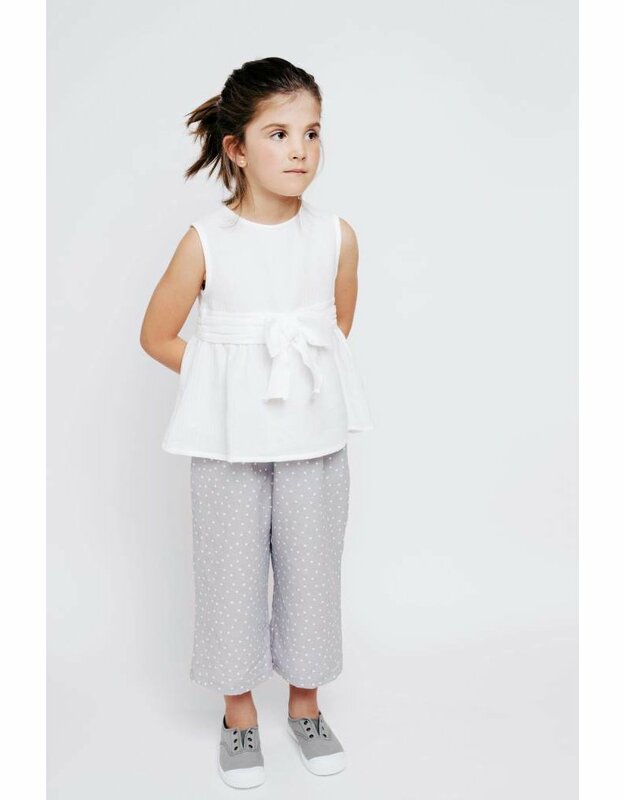 Gorgeous girls dusty blue culottes with white polka dots and center mustard ribbon bow, they have an elasticated waist for great fit and comfort. 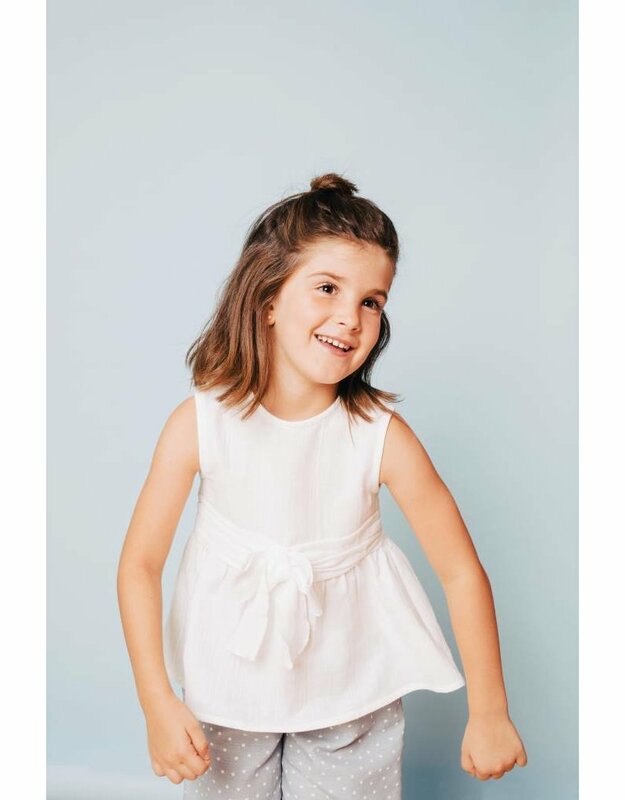 Girls sleeveless white blouse by Fina Ejerique, the lightweight fabric has a fitted bodice with flared hem, back button fastening and central tied bow. 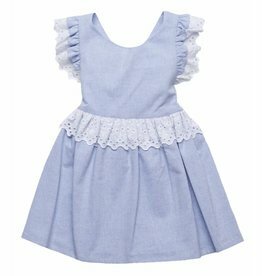 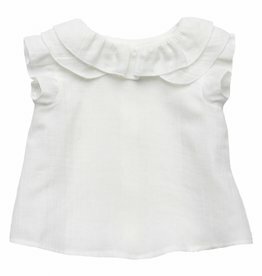 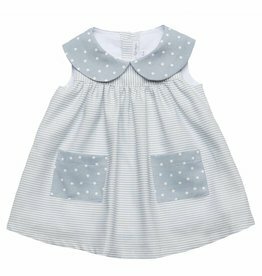 Younger girls blouse by Fina Ejerique is made in a soft cotton and has a ruffled collar and sleeves, button fastening to the back. 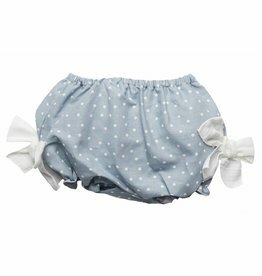 Adorable bloomers by Fina Ejerique. 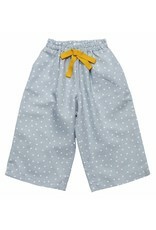 They are a beautiful dusty blue colour with white polka dots. 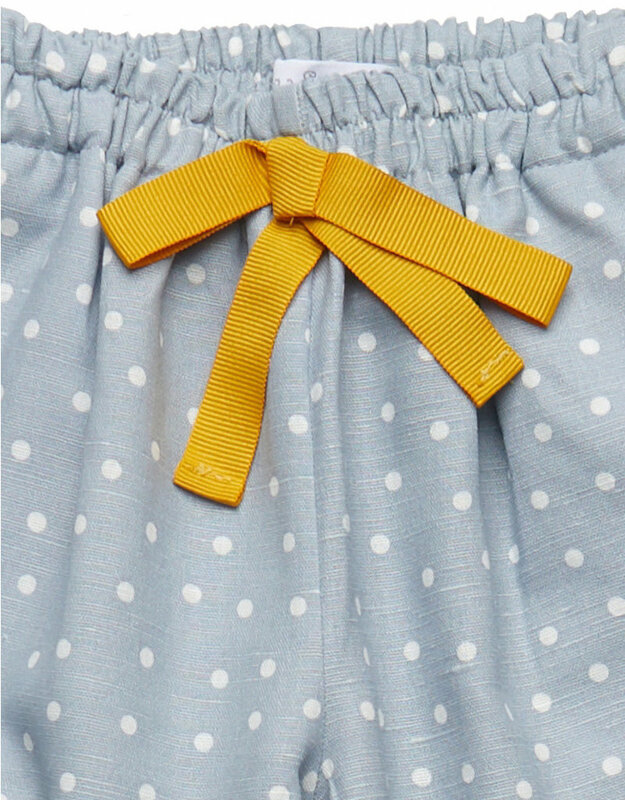 They have an elasticated waist for great comfort, gathered leg hems and two side bows. 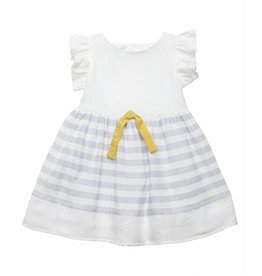 This delicate pale pink sleeveless dress by Fina Ejerique has a white broderie overlay collar. 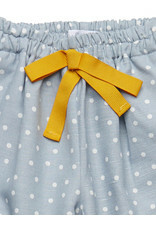 The dress is fully lined and has a back zip fastening. 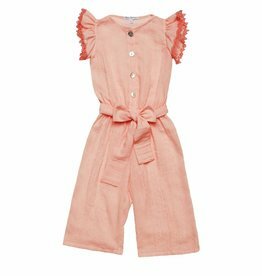 Absolutely stunning pink jumpsuit by Fina Ejerique, made in a lightweight cotton for great comfort whilst keeping on trend, they have an elasticated waist disguised with a bow tie up, leaf detail to short sleeves and front button fastening.